It was the perfect storm of a broken sewer line and a town’s water supply being shut off unexpectedly. That is exactly where my friend recently ended up, and plumbing, well, it is a glorious thing. When it works. My friend began her eight-day ordeal without water and plumbing with a sense of humor and had us all laughing along with her on Facebook. By day three, her sense of humor was fading. By day five, she was in tears. 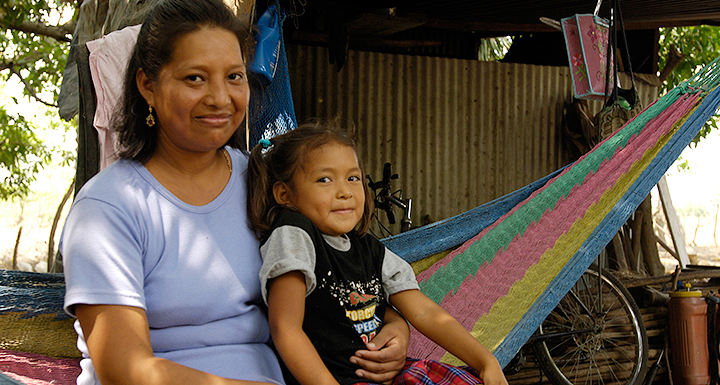 When the water supply and sewer line were restored, she had never been so happy to do dishes and laundry! Friends and family helped my friend weather her storm, offering a place to shower, do laundry and hang out for a few days. The opening of their homes encouraged and helped renew her faith that this life crisis, too, would pass. Does life look like one long series of broken sewer lines right now? Thank heavens for MOPS and the moms who can support you through tough times! Your friends may not have faced the same challenges you’re facing, but they’ve faced others, and they know the value of prayer, a listening ear and encouragement. Moms, no matter where they live, need encouragement and support. Being a mom is tough. In El Salvador, families in rural areas lack access to running water and sewage systems every day. Villagers get their drinking water from muddy rivers and lakes where they also wash their laundry. Intestinal illnesses are common and can be deadly, especially for young children. For these moms, pretty much every day is worse than the worst day my friend faced during her perfect storm of water woes. Like moms everywhere, they worry about their children and want the best for them. They need the help of moms like us to equip them with hope and the means to persevere. Compassion International partners with local churches around the world to help release children from poverty in Jesus’ name. 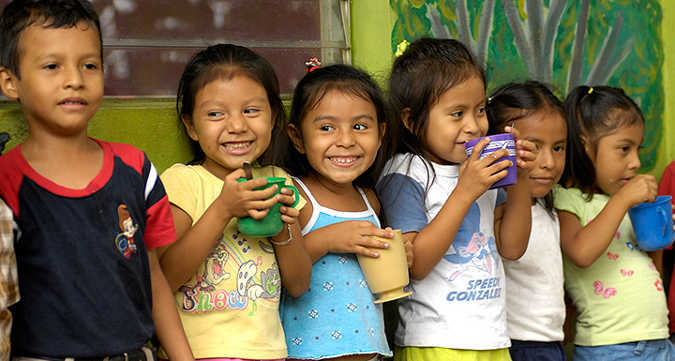 Caring sponsors provide children with nutritional, educational, spiritual and emotional support. Moms attend women’s Bible studies, where they receive encouragement and grow spiritually. Moms have the opportunity to learn new skills to supplement their income. But it is seeing their children blossom and thrive, that bring these moms their deepest joy! Mom, would you consider helping a mom in El Salvador by sponsoring her child through Compassion International? Your support can lighten a mother’s heart by giving her hope for her children’s future. You can be the encouragement and lifeline a mom needs to bring her and her family safely through life’s worst storms. To learn how you can help, visit compassion.com/MOPS. You’ll find lots of fun, informative and free materials to download and share with your children and MOPS friends. Lynn Waalkes has sponsored children through Compassion International for 20+ years. She is a freelance writer and editor, caretaker of two cats, and grandmother of three adorable little girls. She lives in Colorado Springs, Colorado, and is thankful her plumbing works.